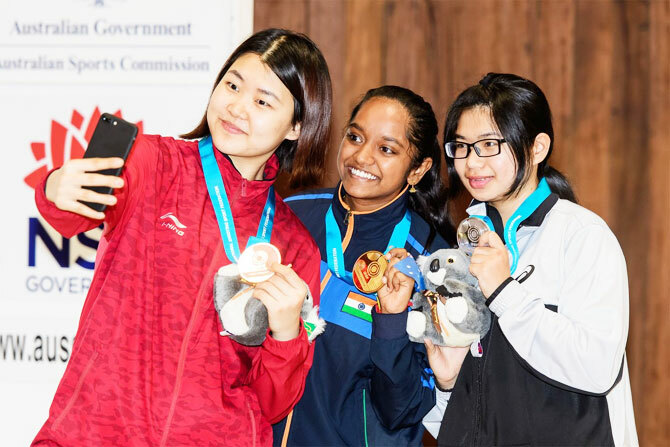 Indian shooter Elavenil Valarivan shattered the qualification world record before claiming the gold medal in 10m women's air rifle event of the season's first junior ISSF World Cup in Sydney on Thursday. Elavenil trains at Olympic medalist Gagan Narang's Gun For Glory academy. "I would like to dedicate this win to my parents and thank Gagan Sir and my coaches at GFG who have been working continuously behind me to make a shooter capable of winning titles at the world stage,” she added. Elavenil had also won a bronze medal at the FISU World Shooting Sport Championship last week. Babuta, a silver medallist at last year's Asian Championship in Wako City, Japan, finished below Yuqi Liu of China (247.1) and Zalan Pekler (246)of Hungary, with a score of 226.3.